Home/News/Try It! You Might Like it! This is one of my FAVOURITE meals! 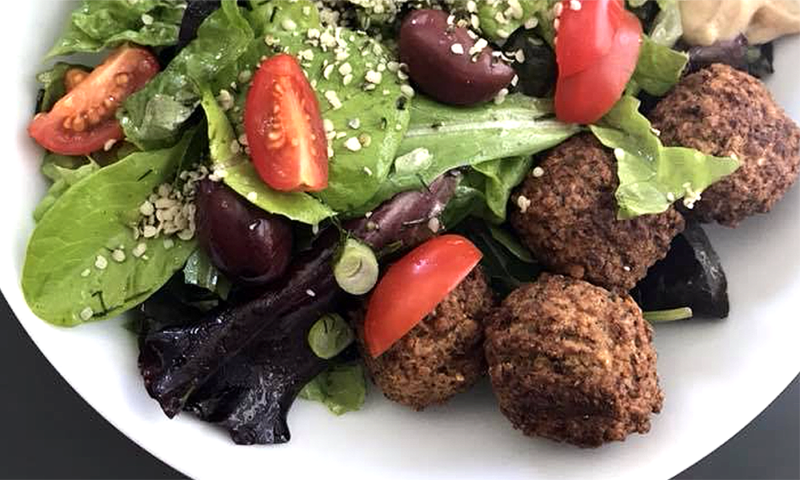 Mixed greens topped with hemp hearts, green onion, olives, dill, cherry tomatoes, a dollop of hummus and/or tahini, and falafels. I usually add a healthy amount of avocado but I didn’t have any that were ripe.